KARACHI: Traffic was blocked on the Superhighway between Karachi-Hyderabad as Bahria Town employees and contractors staged protests on Saturday over non-payment of dues. Traffic has been blocked on both sides of the superhighway for the last three hours owing to the protests. 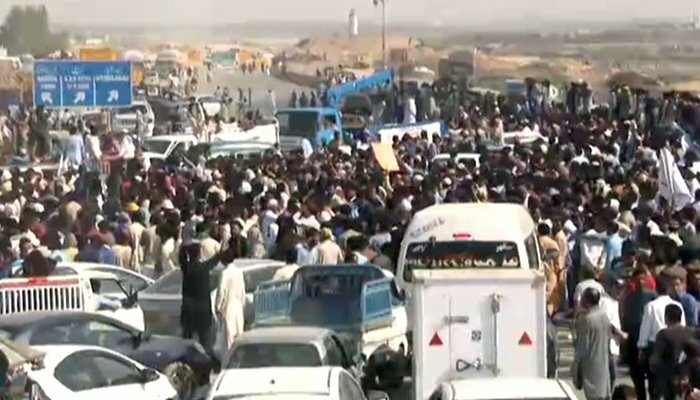 The protesters have also blocked the link road to the National Highway from Kathore, Gadap. Bahria Town residents, contractors, builders and employees are part of the protests. The protesters have appealed to the chief justice and prime minister to resolve the issue. Bahria Town employees and contractors have also taken out a rally in Tauheed Commercial area in Defence. Families of overseas Pakistanis and investors are part of the rally.